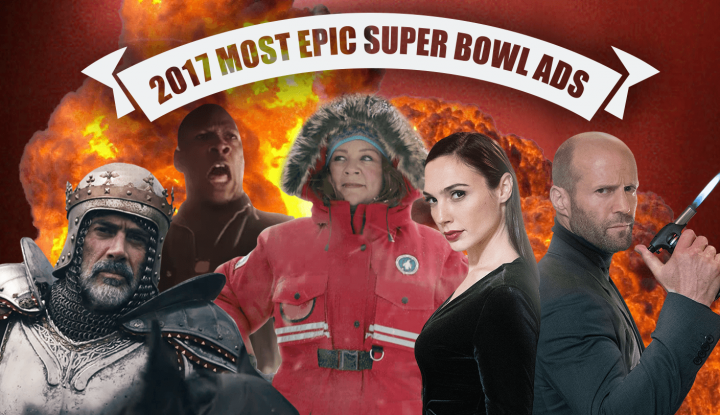 The 6 Most Epic Super Bowl 2017 Commercials 0 out of 5 based on 0 ratings. 0 user reviews. It was the greatest comeback in Super Bowl history! Indeed, we witnessed a truly epic game during Super Bowl LI. The New England Patriots fought back from what appeared to be a lost game to beat the Atlanta Falcons 34-28 in the first-ever Super Bowl overtime. 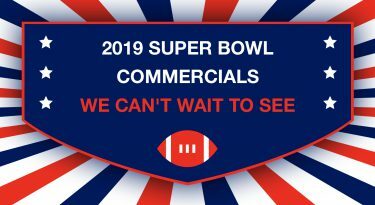 In keeping with the epic theme, we asked ourselves here at Super Bowl Commercials, which were the most epic commercials aired during the Big Game? We experienced the work of epic directors and saw epic star appearances, epic cinematography, and epic tales. So who did it best? The votes are in. What happens when you mix an Israeli goddess with a Brit stud and combine it with Super Bowl commercial creative? You get Gal Gadot and Jason Statham starring in the badass Wix.com Super Bowl LI commercial, directed by Louis Leterrier. 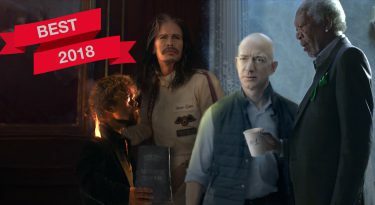 Despite the recent controversy surrounding Budweiser’s pre-released Super Bowl spot, the brand has defended its commercial as not being political. The ad, tells the story of a young Adolphus Busch, as he arrives fresh off the boat from Germany to pursue his dream of making beer. Faced with heckles of “you’re not wanted here” and “go back home,” the story captures the anti-German immigrant hostility of 19th century America. It also shows the telling moment when Bush met Eberhard Anheuser – of Anheuser-Busch. Whether you believe this commercial is politically challenging or not, it rings with the air of a Hollywood movie. Make your dreams become a reality: this was the message of the Alpha Romero Super Bowl LI “Riding Dragons” commercial. The ad touches on childhood aspirations to be the strongest and to be the best are not always what matters in life, but learning grace and staying true to who you are will help make your wildest dreams come true. This ad talks about being epic, and is, epic. Want More? 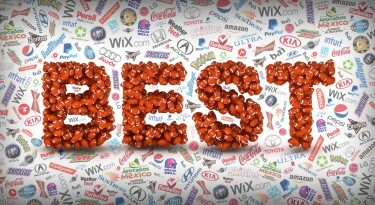 See The Best 2017 Super Bowl Commercials!